You can use your Sun-Tek Tube as an extra light source DAY OR NIGHT with the addition of our special light kit. 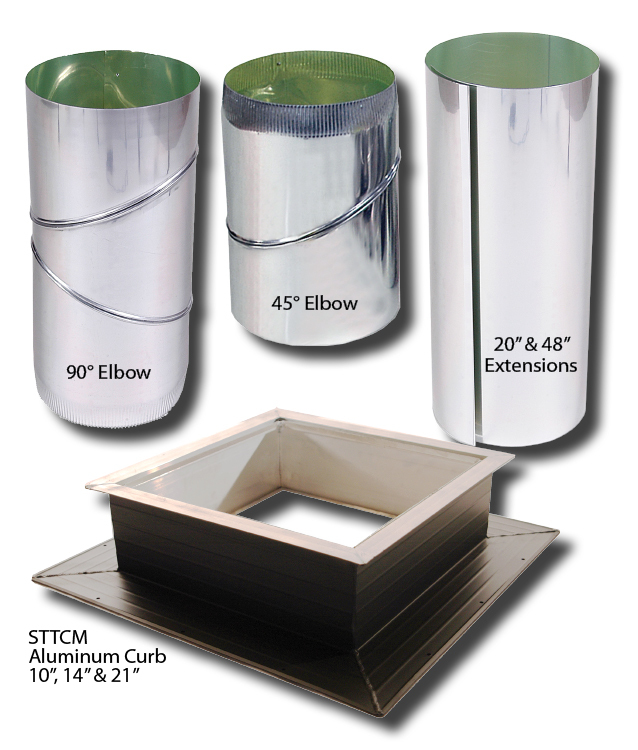 Extension tunnels are available in 20″ and 48″ lengths. For shallow attics or cathedral ceilings, where you don’t have room for the stock tube length.